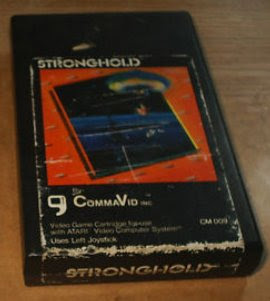 AtariAge.com rates Stronghold for 2600 as a 9 on their rarity scale and we have only seen the item up for sale once in the last 9 months. The game is up for sale on ebay right now with a reasonable starting price of $75. The last Stonghold auction we recorded ended at $103 and change so the game is a pretty good bargain as far as rare Atari games go. Launches are notorious for console shortages and high prices in the resale market. The Wii was hard to find for more than two years. Xbox 360 consoles sold for hundreds of dollars more than retail the first Christmas. Will the Nintendo 3DS be the same? Launch Date: The Nintendo 3DS is launching in March instead of the holidays so there isn't a huge rush of people who "need" the item for Christmas lists so that might keep demand down a bit. Multiple Country Launch: The Nintendo 3DS will be launching world wide within several months so the supply of the systems will need to be distributed in more places. Supply might be a bit tight in some countries. Launch Price: The $249.99 price is higher than most other portable consoles. Kotaku has a great article showing how the price compares. Will that discourage some early adopters from buying the system? If so demand might be a bit less than previous Nintendo portables. 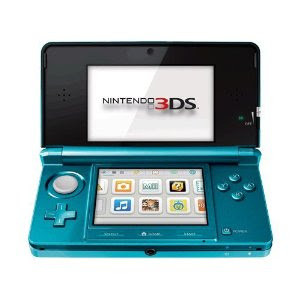 3D Visuals: The Nintendo 3DS will be the first mainstream portable device with 3D and it won't require glasses. A lot of consumers might want to play this innovative new device. If so demand could be really high. What do you think? Will it be hard to find at launch or will you be able to buy one with no problem? The Nintendo 3DS is now available for pre-order at Amazon so anyone who thinks it will be hard to find can get a pre-order before they sell out. 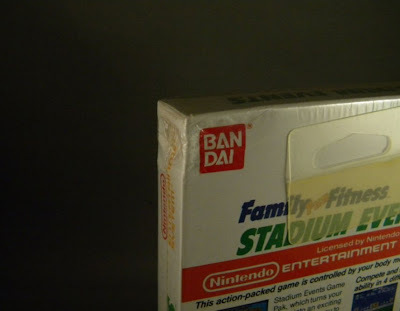 The most expensive game ever sold is back on ebay right now! 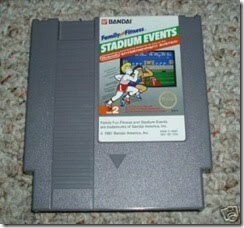 A sealed copy of Stadium Events sold for $41,300 last spring making the most expensive NES game and most expensive video game of all time. This copy has a slight cosmetic problem because there is a slight dent in the upper right side, but it is very minimal. I don't think the item will reach the previous heights over $40K but it will probably go up from here. Two weeks ago wrote an article wondering if Nintendo would reprint Mario All-stars for Wii. Looks like they read VGPC's blog because they are considering a reprint now. Wired has an article saying that Nintendo is considering a reprint on Super Mario All-Stars for Wii. "We are gratified by the consumer response to this limited-edition product, which we created to celebrate the 25th anniversary of the original Super Mario Bros. game on NES,” “Because of the strong response, we are exploring the option of bringing this item back at a later date." Looks like the price will probably be coming down as soon as the reprints hit. I wouldn't be buying the game on eBay right now. 16% of people who make New Year's resolutions want to lose weight and exercise more but it can be hard to keep at it the whole year. 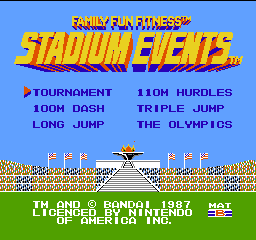 What if you can combine your love of video game collecting with your exercise resolution? 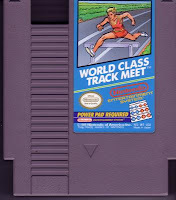 Below are three vintage games that can help you shed those pounds and collect games too. The list is ranked according to rarity from most common to most rare. World Class Track Meet is a Nintendo NES game that almost everyone who grew up in the 80's played at some point. 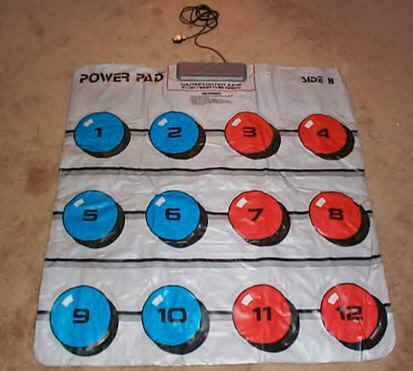 It used the Power Pad to control your character as you competed in track and field events like long jump, 100m dash, and 110m hurdles. It is possible to play the game with your hands (you people know who you are). 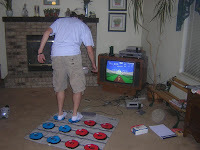 If you play the game by standing on the power pad and running in place you can burn quite a few calories. You do lots of jumping, running quickly in place, and falling (if you wear socks or sweat a lot). 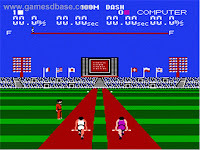 Racermate Challenge II is a "game" for the Nintendo NES that keeps track of your biking on a stationary bicycle. 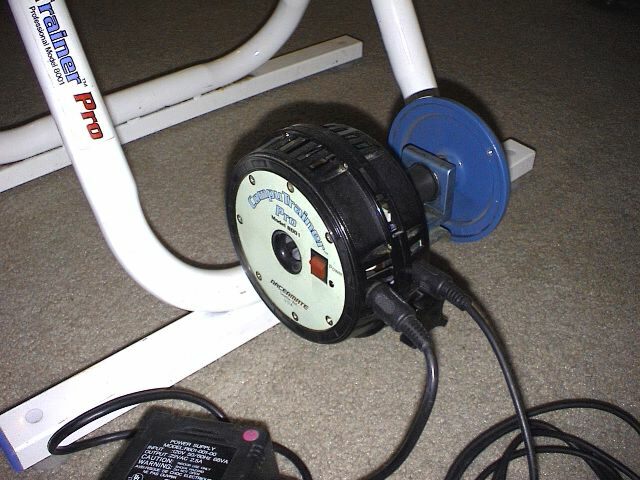 The cartridge was sold with a modified Nintendo NES and an attachment for your bike. The TV will show a character biking and stats about your speed and miles traveled. The game will burn as many calories as a regular stationary bike and most stationary bikes display the workout stats now. 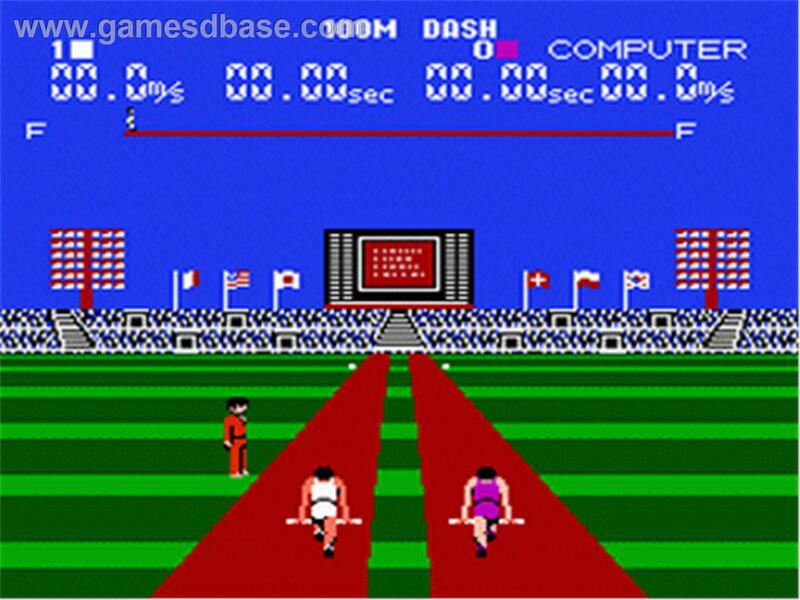 But the game does display an 8-bit version of you in the mountains which stationary bikes don't do. 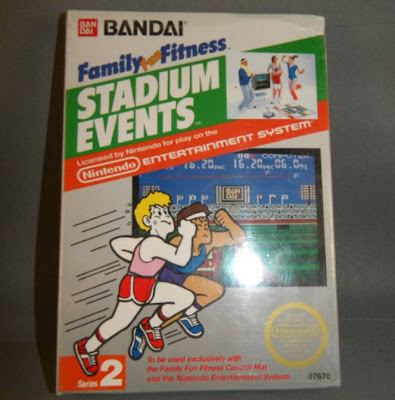 Family Fun Fitness Stadium Events is the same game as World Class Track Meet only it was made by Bandai and costs about $1,800 more. The game was recalled. 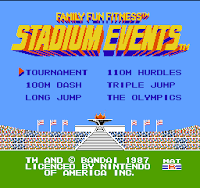 Exercise wise the game is just as good a workout as Track Meet is since the games are almost identical, but video game collecting wise Stadium Events is much, much better. When you compare it to a new Bowflex home gym its a real bargain. Plus, it is much cooler to tell your friends you exercise on the most expensive game ever sold instead of a gym membership. Thank you Steve S. for your screenshots and images for Racermate Challenge II and your inspiration for this article.